This is the Amish Friendship Bread cookie recipe that people love, because not only does it make a soft and chewy cookie, but it makes A LOT of them. This is one of those great recipes to keep on hand whenever you have some extra starter to spare, because in this case, a little goes a LONG way! Cream starter, butter, shortening, and sugars. Beat in the eggs, one by one, then add remaining ingredients. Drop by large spoonfuls onto an ungreased baking sheet. 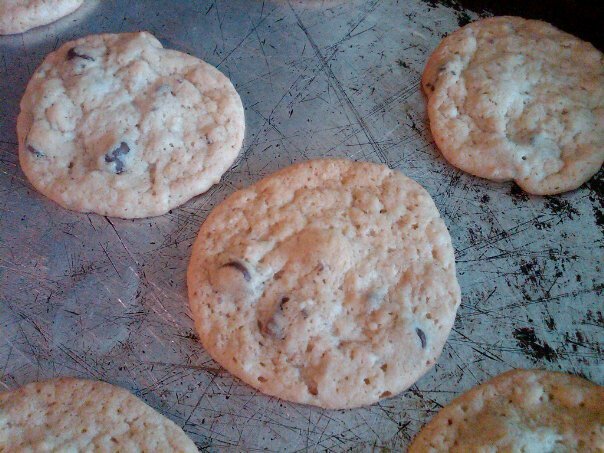 Bake for 12 to 14 minutes or until edges begin to brown. Add in 1/4 cup of cocoa powder for extra chocolate flavor. For shortening, use the butter flavor. This recipe works great with different flavored chips and nuts, too. Use a small cookie scoop to make bite-sized cookies or two small scoops to make a larger size cookie. TODAY ONLY! Special Reader Giveaway! These sound so good… I can’t wait to make them…. Just finished baking these cookies. Used butterscotch chips instead of chocolate chips. They are sooo good! soft and chewy in the middle with crunchy edges, my favorite! We are cookie eaters. Some like them crisp, and one, our Granddaughter. Rachel likes hers soft. She usually under cooks the things she bakes because of her preference. I have used the friendship recipe before, in fact we have some starter in the freezer. Just made these cookies. They are so good. I used dark chocolate chips and substituted 2 T. of powdered stevia for the white sugar. Turned out great! A+! I use ovaltine instead of cocoa powder! Think vitamins! Just made these and they are very tasty. Only used 1 cup of brown sugar and 1/4 cup of white and they are still nicely sweetened. Can you freeze the cookie dough and/or the cookies? I’ll add that to our list the next time we’re in the test kitchen with this recipe, Iisha — my guess is that the cookies will freeze well, and the cookie dough should be fine — I’m hesitating only because of the shortening. I’d certainly give it a try — it would be nice to be able to have it in the freezer for whenever a craving for fresh baked cookies hit! Can’t wait to make these! Yummy! I would like to make these without the shortening. Do you think applesauce would work ok in place of the shortening in this recipe??? I’d recommend dividing your batch and trying one with shortening and one with the applesauce substitute. I’m concerned that the cookie may not hold together as applesauce is great for moisture and can bind in cakes, but cookies are a whole other science! Good luck and please keep us posted — snap a picture or two if you, even if it doesn’t quite work out. If it does, then I know a lot of our Kitchen Friends will be THRILLED! So, I did the applesauce switch – 1/2 cup of applesauce for one cup of shortening. I decided to make an 8×8 pan of chocolate chip brownies and make cookies with the remaining dough. And I ended up with over 5 dozen cookies in addition to the brownies! My grandfather, husband and 6 year old son were my taste testers and unanimously declared them all delicious. As a disclaimer, I also added a hint of cinnamon to the batter and I refrigerated it for about 4 hours before baking. How did they turn out with the coconut oil in place of the butter and shortening? I have made several batches of these cookies and LOVE them. They are killing my diet, but I cannot resist them. Just made these SO YUM! but the recipe seriously make a million cookies!!! Made these for my son’s graduation and everyone loved them! they were so good! I will make them again. This may seem like a stupid question but I just received a starter and the cookies sound so good. Do I wait to make the cookies on the 10th day like i would the bread or can I just make them now? Hi Brooke! If you received the starter from someone, you can bake now. If you make the starter from scratch, I recommend at least one 10-day cycle before you bake. The “older” your starter, the better the flavor. Good luck and I hope you’ll share photos with us! This may also sound like a stupid question but if you have received a starter and want to bake with it before day 6 when you add flour, sugar, and milk; do you just add what ever the recipe you are using calls for or do you add extra? Sarah, it depends on what you want to do. You add the flour, sugar, and milk to your starter to “grow” it. So if you want to have extra starter left over, you should feed it first and then take the cup out for the recipe. If you don’t want to have starter left over, then you can just use the cup of starter you received for the recipe and not have any more going forward. Regardless, you will take the cup of starter and follow the directions for the cookie recipe. The ratio of ingredients will still be the same in the starter. If you received your starter and want to bake immediately, treat your baking day as Day 10 and go straight to the bread recipe. You will use up the 1 cup of starter and not have any left. If you want to have some left, add the ingredients as listed on Day 10 before the bread recipe, mix and divide. You may come up a bit short of 4 bags with 1 cup each (one which you’ll use to bake), but you’ll have some surplus to either share and save for future baking. 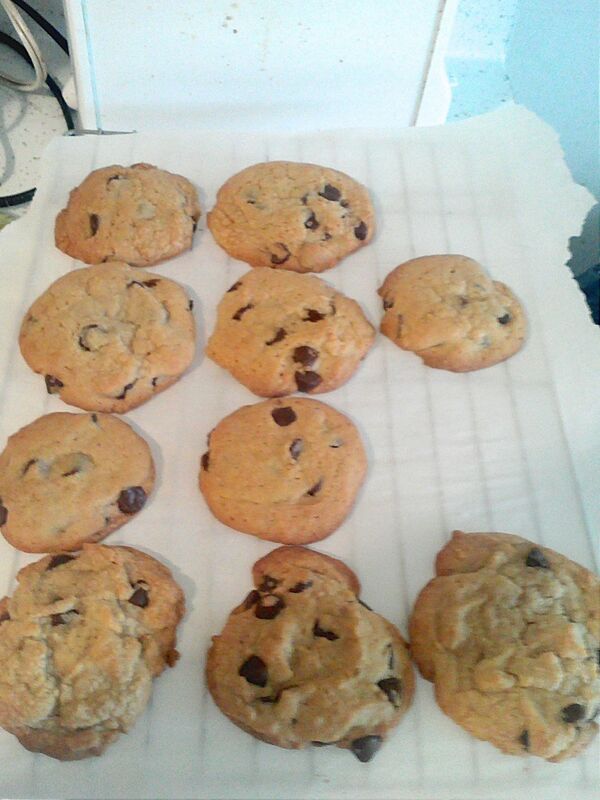 Made some of the best chocolate chip cookies. Did a baking test. I froze individual dough pieces and baked them at thawed(some thawed on pan and some thawed in fridge) and frozen. I also baked some using dough that was in the fridge overnight. They all turned out the same well baked and no additional time needed. 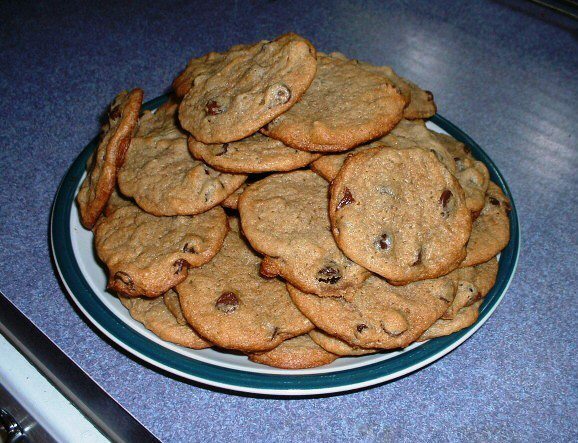 My 5 grandsons love chocolate chip cookies and this recipe makes enough to last them for at least several days. Can this dough be rolled up and put in the freezer for slice and bake cookies? These are fabulous cookies, makes a ton of them. First time I made them I cut the recipe in half as they still made a lot. Everyone I gave them to loved them. I live in Mexico where shortening is unheard of (and so is applesauce for that matter). Can I substitute lard for the shortening and add butter flavoring to it? Hi Sheri! We haven’t tried it so I can’t say, but from what I can tell lard is an acceptable substitute for shortening. The butter isn’t just for flavor but to also help it crisp up, which the lard will help do, butI don’t think 2 cups of lard to replace the shortening and butter will yield a great-tasting result (I could be wrong). In this case I think the best thing to do is maybe halve the recipe and just try. I’d replace the shortening but not the butter. I did see something that says when replacing shortening with lard, reduce by 2 T per cup, but you might want to double check on that. Good luck! I’d love to know if it works! 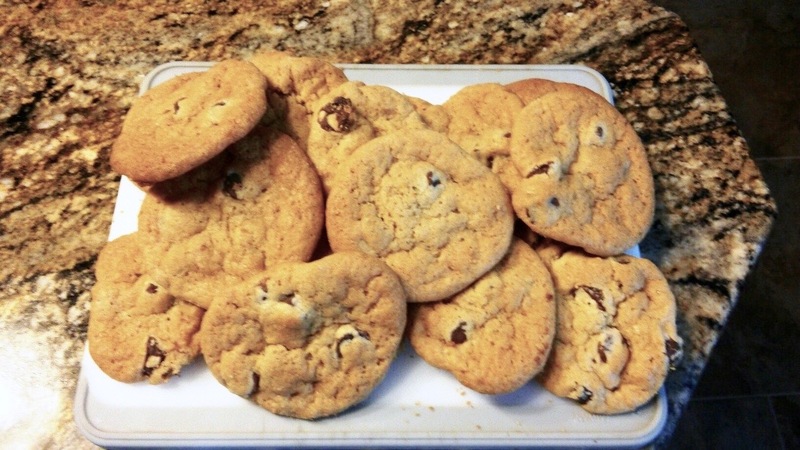 I made these cookies for a book club meeting and they disappeared very quickly. The children of the members couldn’t get enough of them. Yay! So glad it worked out, Karen! Thanks for sharing! What can I use instead of shortening? Hi Jae! You can use butter. Shortening is all fat whereas butter is fat + water, so you’ll lose some of the crispiness. I have had some people say they don’t like how buttery the cookie turns out, so you’ll have to try it to see what you prefer. Good luck! I love all ur friendship bread recipes. Just tried these chocolate chip cookies today! I does make a ton of dough! so I am baking half today and then dropping the rest into ice cube trays to freeze and use later. That way when I want cookies I’ll have little frozen scoops all ready. I did scale back on the sugar a bit tho, I used 1 Cup white and 1 1/2 cups brown. I might even scale back a bit more next time. They turned out super good! Cant wait to try them with different chips/nuts! Thank you Samantha! Great tips and we’d love to see a pic of the end result! You can submit it here if you’re interested: https://www.friendshipbreadkitchen.com/recipe-box/submit-photo/. So glad to have you in the Kitchen with me! Chocolate chip cookies are my favorite cookie! Could I please get the recipe for the starter bread, would love to make these cookies. 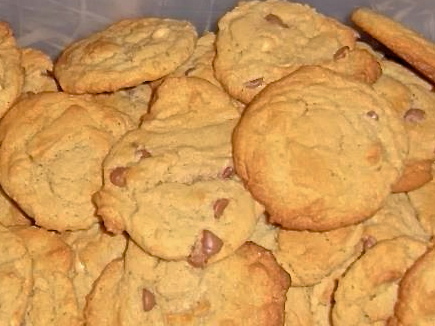 I just made these cookies…again. 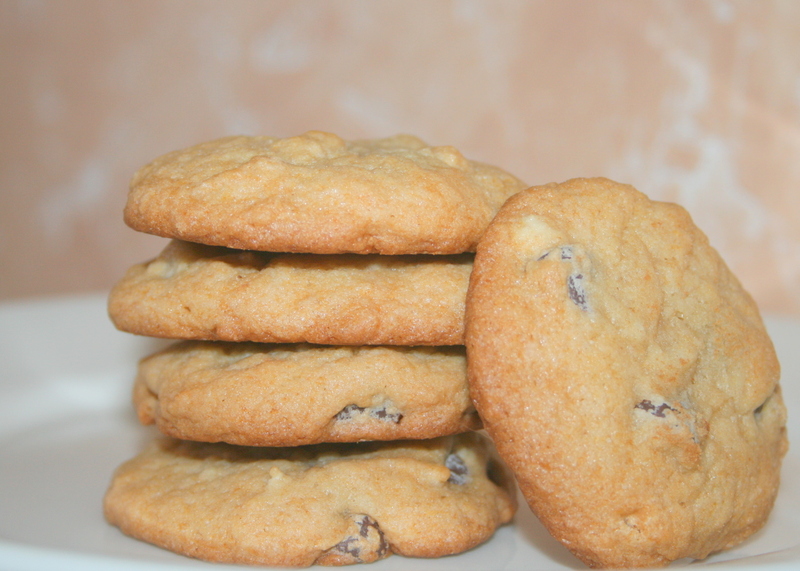 They are by far one of the best basic chocolate chip cookie recipes out there. I love simple chocolate chip cookies. I don’t want anything added to “spruce” them up. I just like a basic cookie and this recipe truly delivers that. Thanks for another great recipe! I made these cookies with excellent results. Since I did not have any shortening I used margarine. The recipe did make a very large amount of cookies, however, my family had no problem making them disappear. I will definitely make them again. I really appreciate having more options to use my starter. These were TOO SWEET! I read reviews prior to making them and there were comments that the dough was sweet. I usually alter recipes as I see fit but went against better judgment as I’m new too baking with the starter dough. If I made these again, I would drastically cut the sugar.